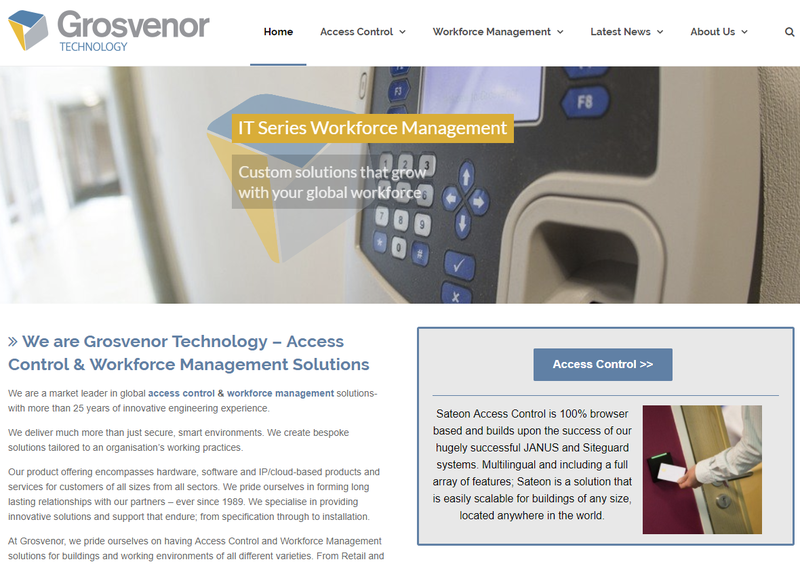 Grosvenor Technology has a new look. Our rebranding exercise may look like a mere change of colour, but it’s key that our outward facing image remains contemporary and evolves to reflect current trends to remain relevant and position us as a forward-thinking business. We have always delivered solutions tailored to an organisation’s working practices in a bid to increase security, reduce risk and lower operational costs. But we have dramatically changed the way in which we develop and manage our Access and HCM solutions over the past year. This change is also reflected in our restructured organisation and a raft of recent appointments which are designed to ensure Grosvenor remains the first choice for hundreds of, HCM software Partners, Access Control Integrators, and blue-chip End Users all over the globe. What looks like a simple change of colour marks a change in our current product and service offering, which has led to a series of contract wins in recent months and prepares us for the exciting changes coming in 2018 and beyond.